The third generation. The third generation 17 incher from Dell's Vostro range has come to our editorial office. The American company offers both new hardware inside as well as a refreshed exterior available in various colors. The perfect (business) companion with many configuration options? With the Vostro family, Dell offers various laptops which especially address small and medium businesses, abbreviated SMBs. The decision for a business notebook is supposed to be made easier with a low entry price and the usual comprehensive configuration options. 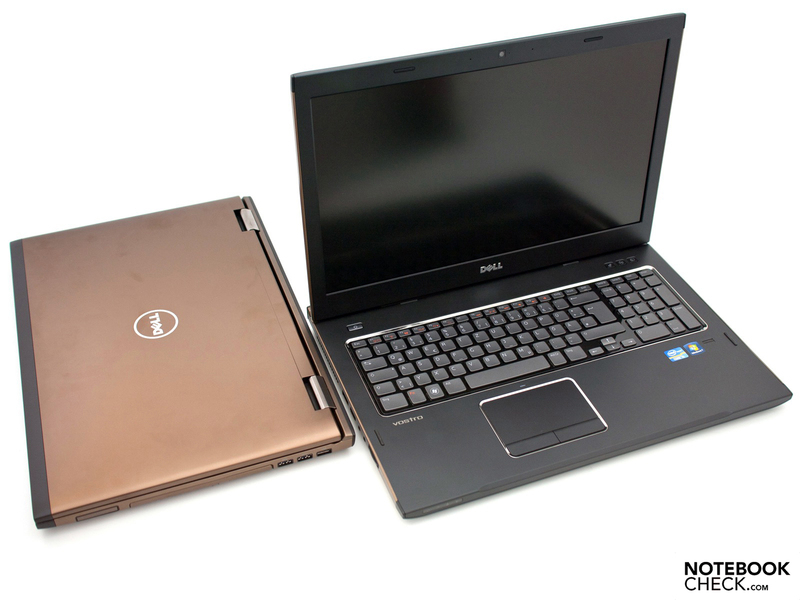 Based on Intel's Huron River platform, both the smaller 15.6 inch Dell Vostro 3550 and the Dell Vostro 3750 with a 17.3 inch display (1600x900 pixels, matt) reviewed here are currently available. The case was revised simultaneously with the hardware refresh. 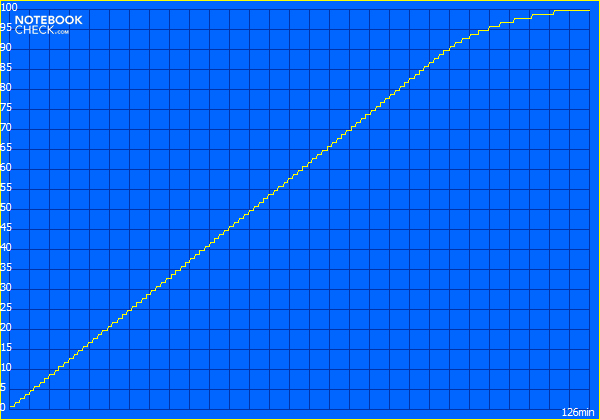 Nevertheless, there are visible similarities with the predecessor. 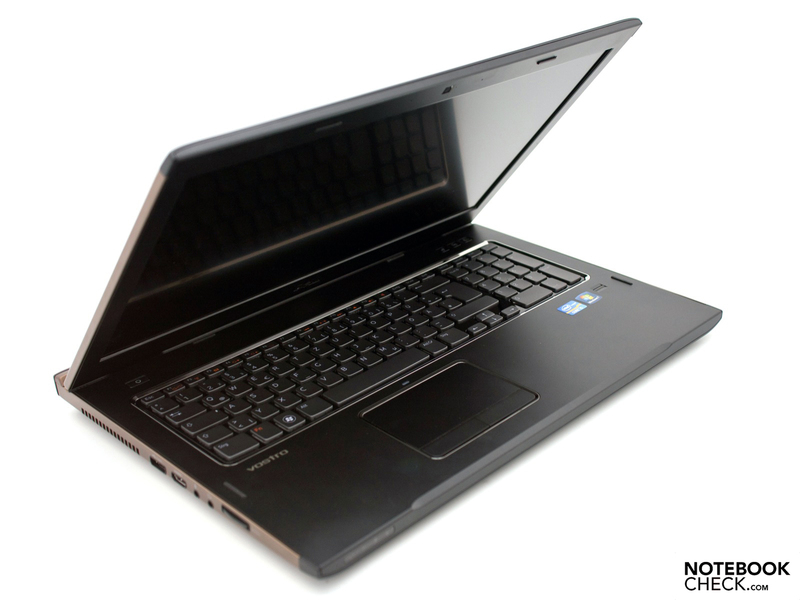 The laptop, in its configuration at hand, bids an Intel Core i3-2310M dual core processor with a clock rate of 2.1 GHz, the incorporated GMA HD 3000 GPU, a four GB of DDR3 RAM and a hard disk capacity of 500 GBs. We also received a faster version in addition to this entry level configuration, which we will use in the performance section as a comparison. 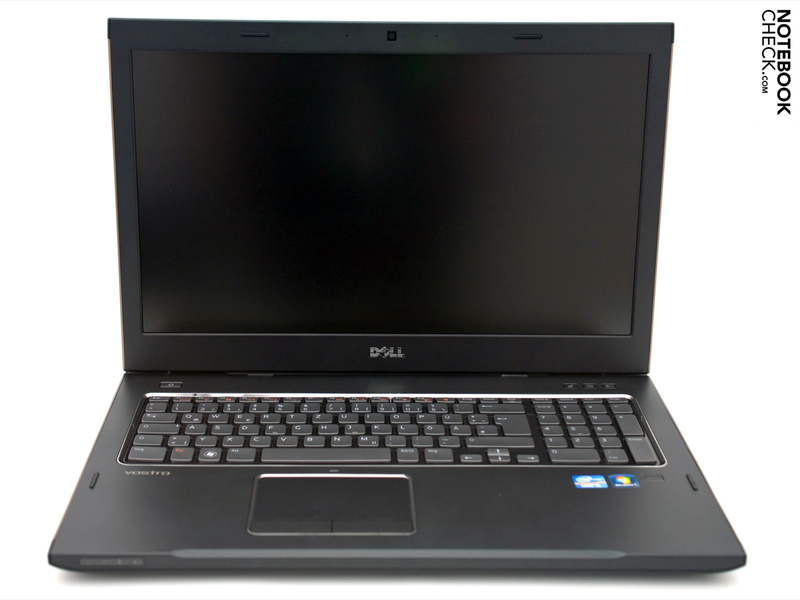 Its main features are the Intel Core i5-2410M processor and the dedicated Nvidia GeForce GT 525M with a 1 GB DDR3 RAM. A business set up or update is affordable at a start price of 459 euros (RRP), which naturally doesn't include added value tax in B2B. However, the list of extras is long and the options are vast. We've checked the big office notebook's qualities and its business ambitions. The Dell Vostro 3750 refreshed case presents itself conservative in familiar Aberdeen Silver, grand in Brisbane Bronze or extravagant in Lucerne Red. A few details of the design have been modified in comparison to the previous model. Added together, the difference is visible. 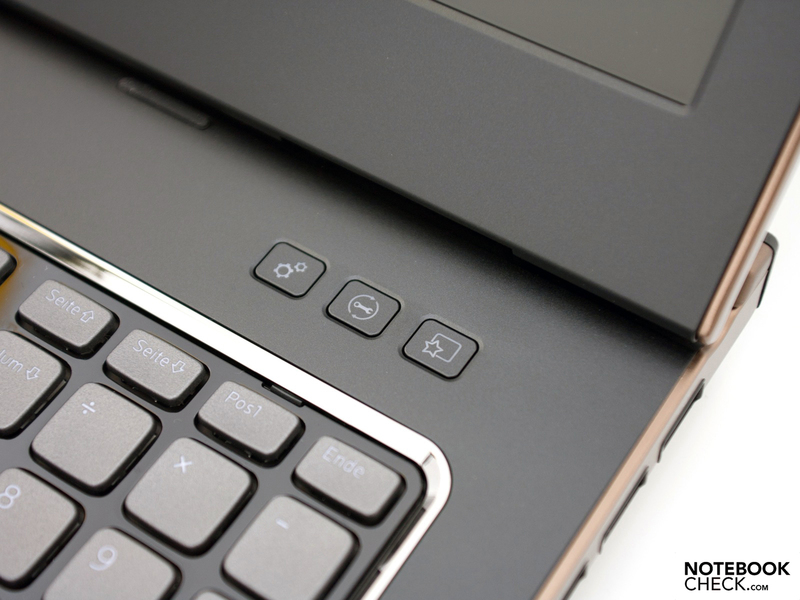 Examples would be the hinges including the lip in the rear area that are now inside, the new chiclet keyboard on a glossy surface and the rearrangement of the interfaces. The case is made of aluminum and plastic which create a symbiosis and have been manufactured with care. 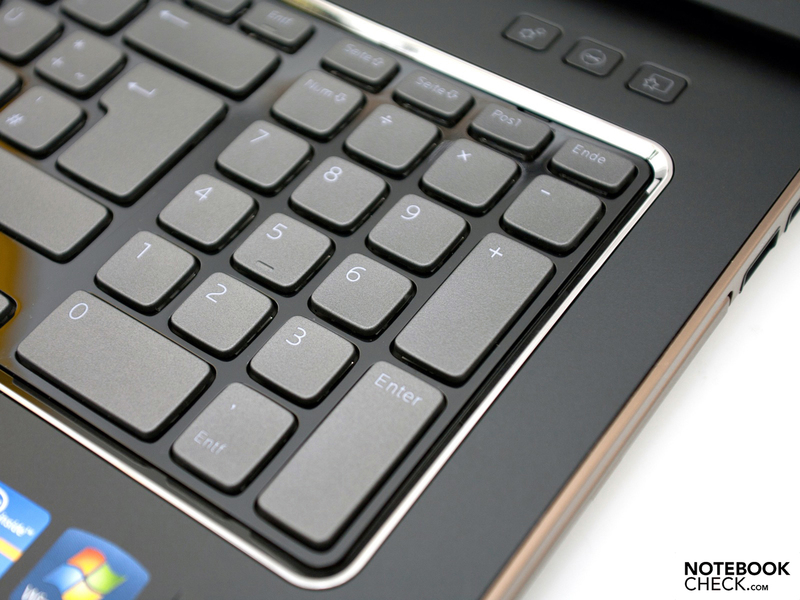 The allover matt surfaces bid pleasant haptics and are more or less resistant against scratches, dust or fingerprints. The workmanship is good, but not perfect. Hardly anything has changed in terms of dimensions and the total weight of about 3 kilograms, despite the update. 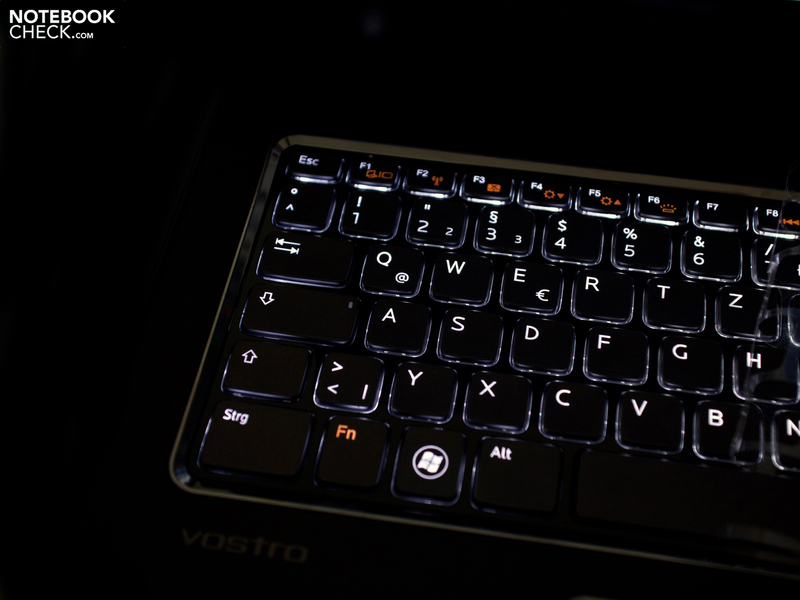 The smaller Vostro 3550 appears to have an advantage in matters of portability (weight and dimensions). There's basically no reason for reproaching the new version in terms of case stability, either. The surfaces only yield marginally under strong, selective pressure. However, the fact that we notice a gap when pressure is applied to the touchpad's right and left, as well as on the display lid is striking. Apparently, there is a small space between the layers below them. Unfortunately, the area around the number pad is a bit spongy in comparison to the rest of the keyboard. This is likely due to the DVD drive. The display lid is resistant against twisting due to the use of aluminum. However, a slight wave development can be seen when the lid is twisted. As to the lid: It is kept in place by to massive metal hinges which allow a tight grip without teetering. Thus both hands have to be used to open the device (opening angle: 130 degrees). 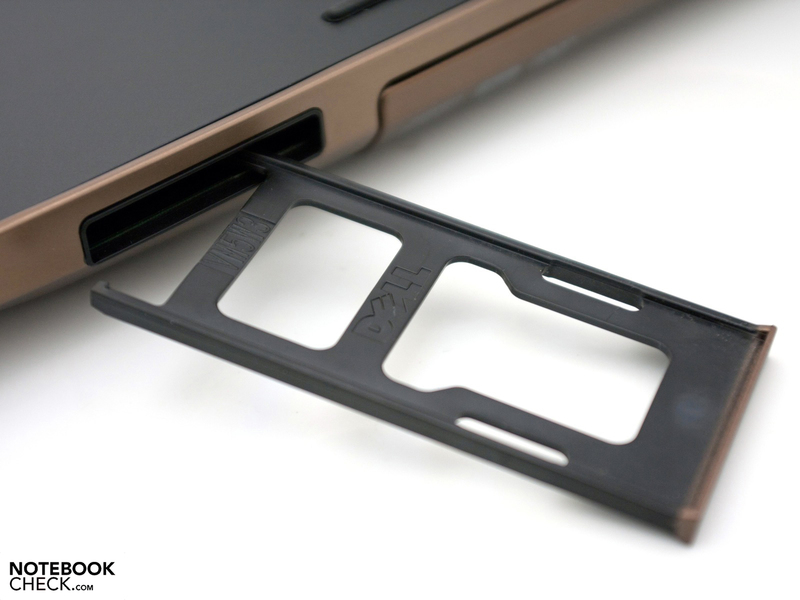 Thanks to these hinges, a retaining mechanism is no longer necessary for the display lid and therefore a point of critique from the Dell Vostro 3700, as well. 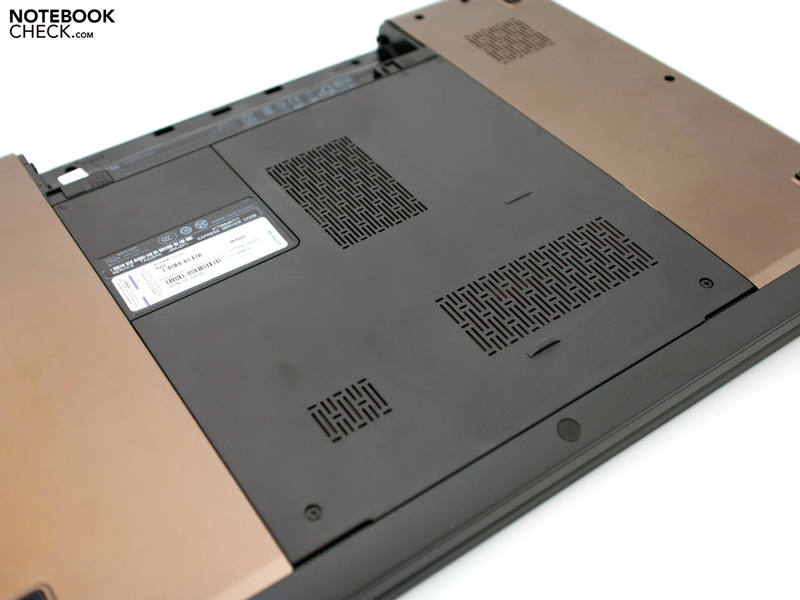 A large maintenance cover and the included matt black 6 cell battery are found in the middle of the bronze coating. Two RAM slots (8 GB maximum) and the hard disk with a construction height of 9 millimeters are located here. Exchanging these is simple, but the other components aren't accessible for the user. 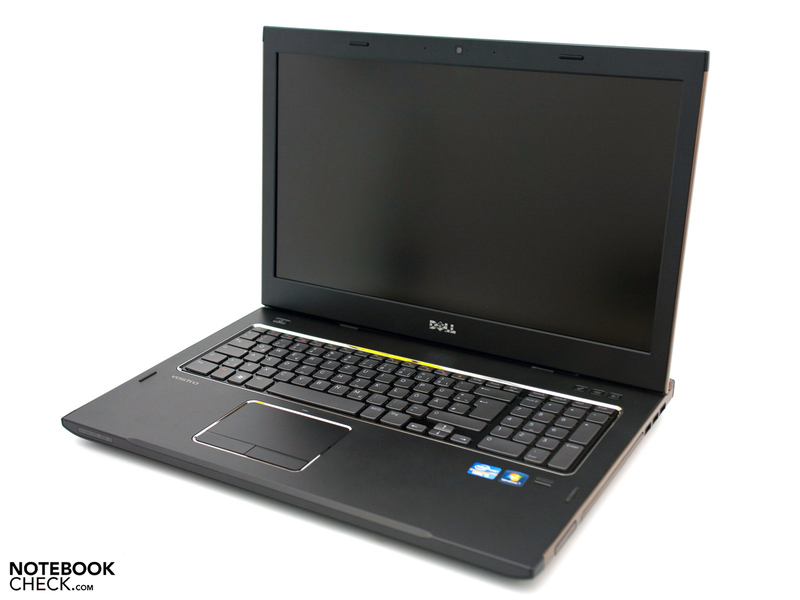 Dell uses the available room and offers a high standard of connectivity for the Vostro 3750. Starting on the case's left, where beside the audio sockets an eSATA/USB 2.0 combination, an 8in1 cardreader and a modern HDMI out are accommodated. 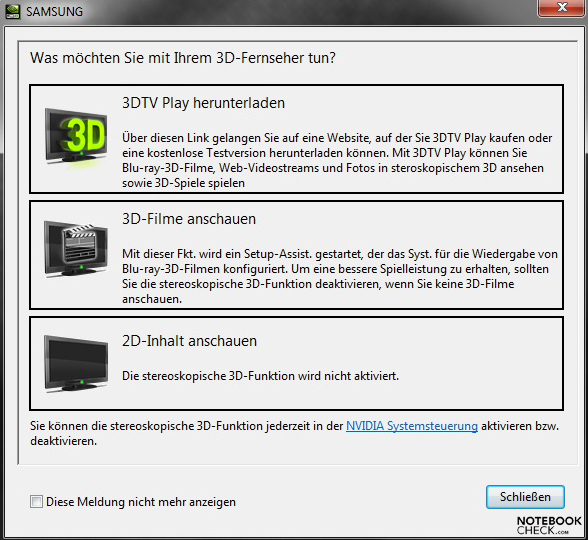 The latter recognizes the connection to a 3D capable end device with Windows 7 and makes suggestions (HDMI 1.4a, high speed with Ethernet). There are three more USB ports on the other side, a simple DVD drive from Sony Optiarc and an ExpressCard34 slot for expansion cards. Two of the USBs comply with the newest USB 3.0 standard. Since the hinges are on the top, there is room for interfaces on the case's rear. Beside the Kensington lock, the VGA out and the RJ45 network socket are located here. The port arrangement is pleasing due to the majority of ports on the rear. For example, the frequently used USB ports have been placed at the very back on the right. A look at the rear, however, shows that there would still have been place. 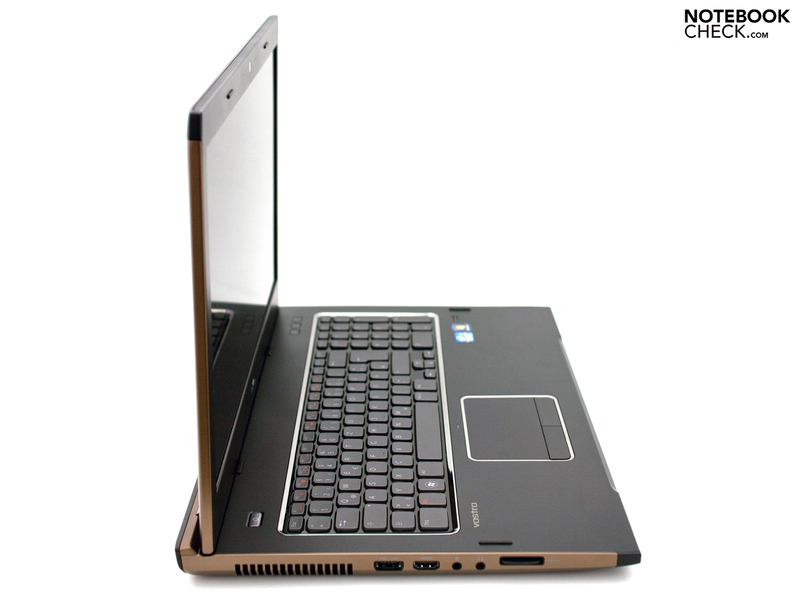 The Vostro 3750 doesn't pass as a pure business laptop. 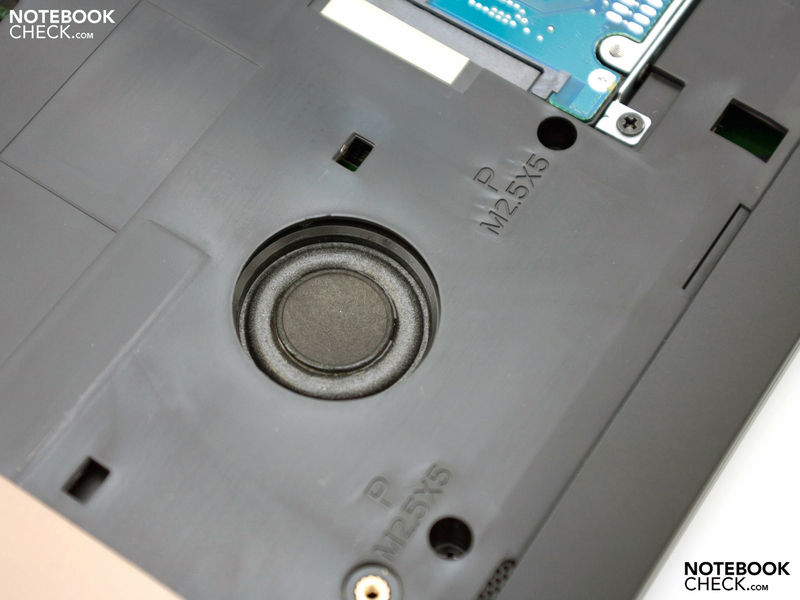 There is a fingerprint scanner beneath the keyboard and it has a Kensington lock, but comprehensive security features, such as a TPM chip, have been left out. 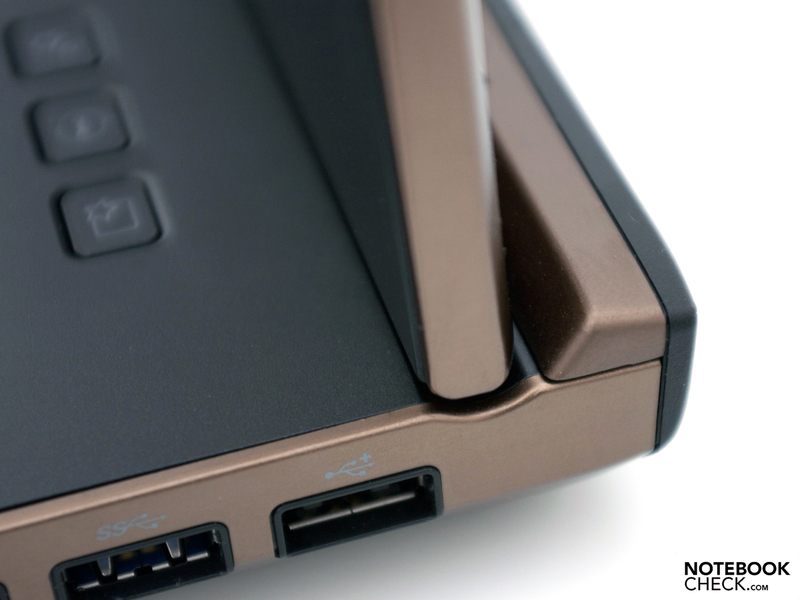 On the other hand, there is no port for a docking station or battery slice on the device's bottom. 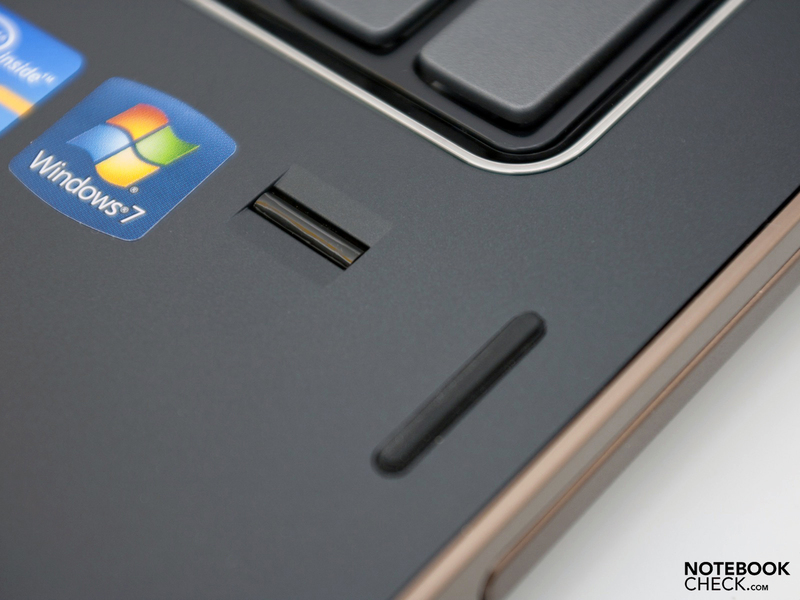 These interfaces shouldn't be left out in a real business notebook. The latest communication standards are given ex-factory. Beside a gigabit Ethernet via a controller from Realtek, there is also a high quality Intel Centrino Wireless N 1030 combo module installed. It supports WLAN standard 802.11 b/g/n, as well as Bluetooth 3.0 +HS on one card. If desired and for a surcharge, an integrated UMTS module for mobile Internet access is also available. The scope of delivery proves to be relatively scanty. 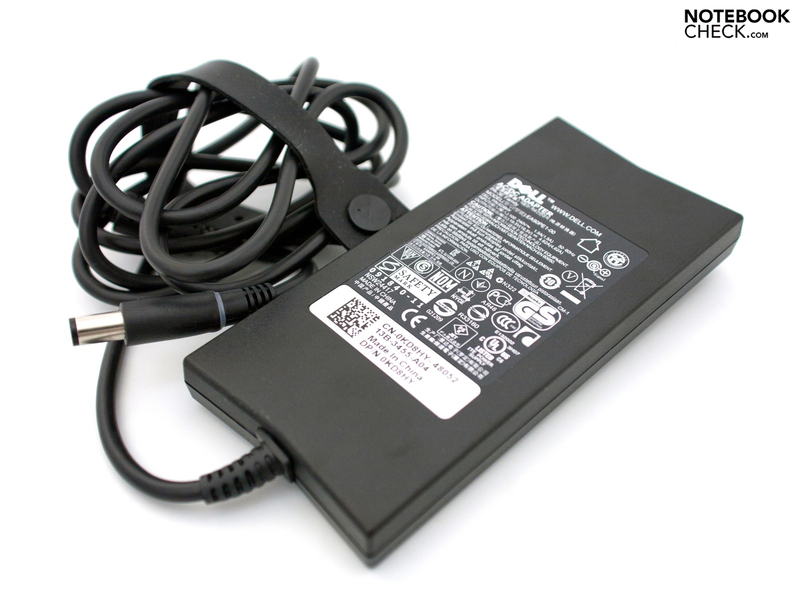 Dell includes a slim 90 watt adapter including the power cable (length: 185 + 80 centimeters), a few manuals and software beside the device. There is a recovery DVD, a driver and software DVD and software for the built-in fingerprint scanner and webcam among the data carriers. There are no accessories and supplementary products have to be purchased extra. The company offers a vast assortment, whereas it's recommendable to take a look at other suppliers. 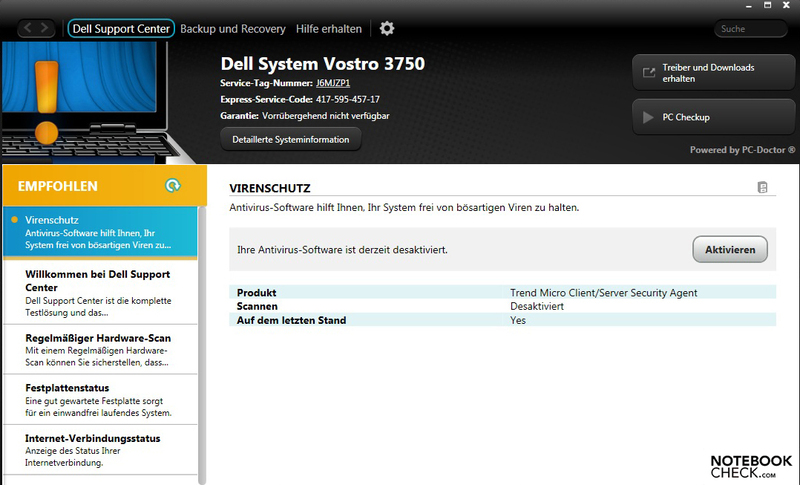 Like many other manufacturers, Dell delivers the Vostro 3750 with a very bloated installation. The numerous programs (bloatware) aren't really feasible, with exception of Microsoft 2010 and CyberLink PowerDVD, and should be deleted in favor of a better work speed. Additionally, there is a trial version of Trend Micro Worry Free Business Security Services pre-installed for protection against viruses and other threats. Just as recommendable is the reduction of programs in the operating system's auto start. Warranty packages and extensions under the tab “Accessories and Software” are offered in the configurator. The device comes with only a 12 month warranty including pick up and repair service for the next business day ex-factory. That is very common, but is below the standard average of 24 months. A 5 year warranty including service on the next business day is possible. This extension costs 195 euros plus added value tax. However, this warranty will likely last longer than the laptop usually would in a company. An important point of the new look is the single key layout (chiclet style) with a glossy black background. The very generous layout with a semitransparent lettering is impressive at first glance. This brings us to the next bonus point: The keyboard backlight. Unfortunately, it can't be “fine tuned” and there is also no regulation via an ambient light sensor. The 17 inch work machine has a separate number pad in the right area thanks to the large case. The smaller Vostro 3550 doesn't have room for it. The slightly spongy surface over the drive is found in both devices. The typing feel makes a good impression and even prolific typists don't have any problems thanks to the standard key size (14x14 millimeters). The pressure point is agreeable, but the key drop could have been a bit shorter in order to make a very good impression. Three hot keys are additionally found over the keyboard's right. It addresses two pre-defined programs (Mobility Center, Dell Support Center) and a program or website of choice. In consultation with the editor of the Dell Vostro 3550 and the equally built Dell XPS 17 , the keyboard's rating has been set to 80%. However, the impression of this keyboard unit would have turned out somewhat better for the editor appraising this device. 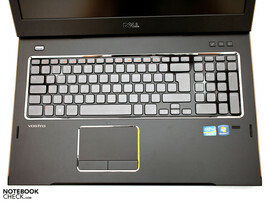 Dell uses the touchpad from the previous model, Vostro 3700, and is still convincing with its large viable diagonal of 11.2 centimeters (100x56 millimeters) and the separated mouse keys. The slightly roughened surface and multi-touch gesture support facilitate use and allow precise navigation. Even the almost out-dated scroll bars have been integrated invisibly. They have to be enabled via the software later, though. 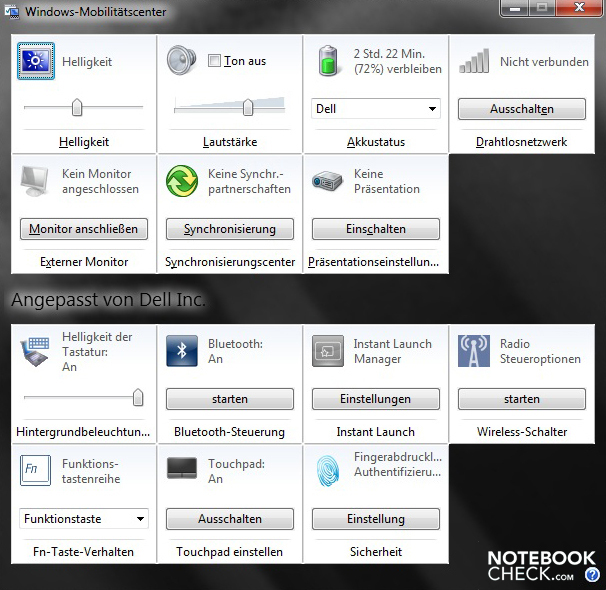 The setting options are summarized in detail and are descriptive. The business trend is also shown in the 17.3 display used. 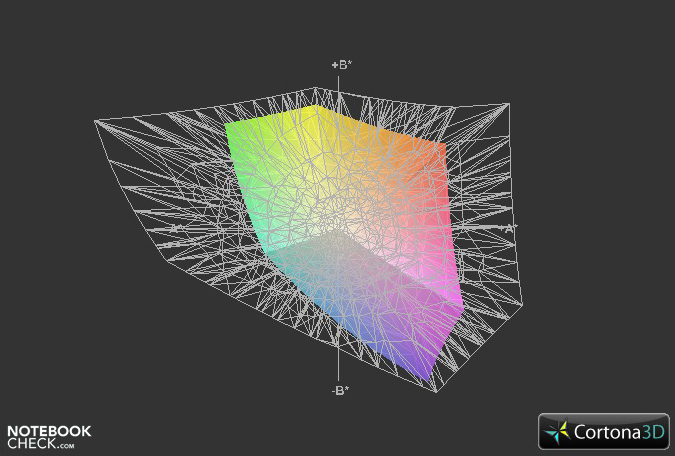 It bids a pleasant resolution of 1600x900 pixels in a 16:9 format and a matt surface. Regrettably, Dell's configurator currently doesn't have a screen with a resolution of 1920x1080 pixels (FullHD, 1080p) as an option. This step isn't baseless in the biggest model, though. However, external monitors with this, and partly even higher resolutions, can be used via the available interfaces, VGA (analog) and HDMI. The transmission quality gives no reason for complaint. 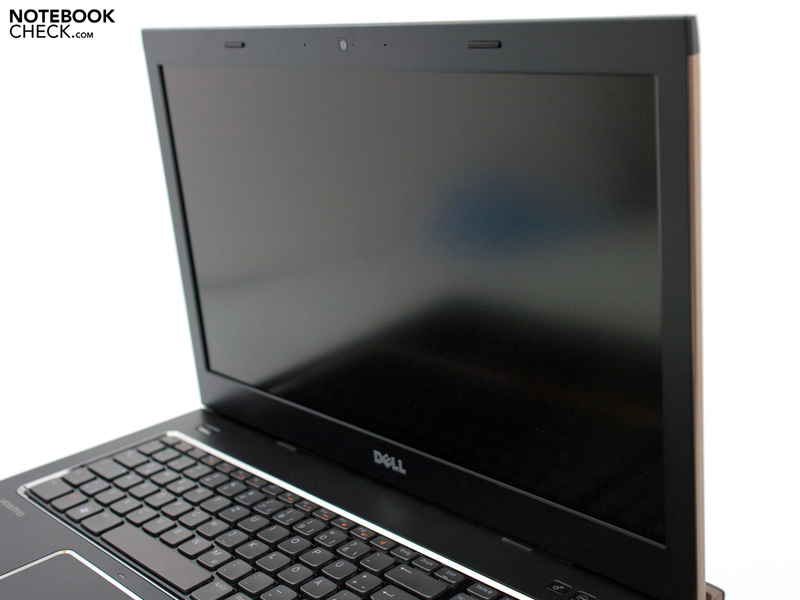 The 2 megapixel webcam, located above the display, can be used with the pre-installed software, Dell Webcam Central. The video and picture quality convinces with a good image. Aside from a lot of gimmicks, such as picture effects or distortions, you can also upload content to YouTube, Facebook and other services. The audio quality via Skype is also agreeable. A reason for this is the digital array microphones which reduce background noises. The question how an apparently good screen can be united with the low entry price remains, despite the good preconditions. The screen from AUO (model: AUO129E) shows the flipside of the coin in our measurements. The LED illumination is only in the broad midfield with a maximum of 221 cd/m2 (average: 203.3 cd/m2). Another point of complaint is the partly high brightness fluctuation. There is a range of 51 cd/m2 from the maximum downward and results in an illumination of only 77 percent. The difference is visible on a black background and the less illuminated areas provide a more saturated black. The other measurements aren't awe-inspiring either. The black value of 1.18 cd/m2 makes black look slightly gray. In comparison, higher quality displays have a black value of about 0.4 cd/m2. For this reason, the contrast also turns out to be poor with 187:1. The reproducible color spectrum remains to be a purchase criterion for professional users. 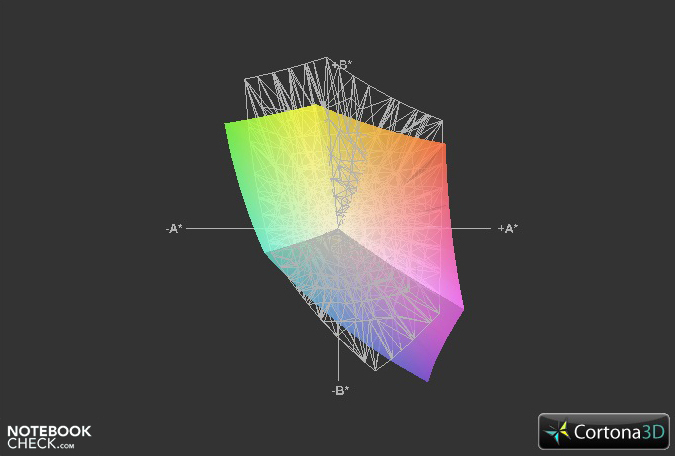 The Vostro 3750 achieves a good coverage in the comparison to the sRGB color gamut, which is the basis for many applications. However, there is still room towards the top. In our comparison, the latest Apple MacBook Pro 15 with a matt display and the top model, Dell XPS 16 with an RGB LED screen are the front runners. Outdoor use is a weak point for many consumer aligned devices with a glossy screen. The test device can win the race, although a higher brightness of the LED would have been desirable. 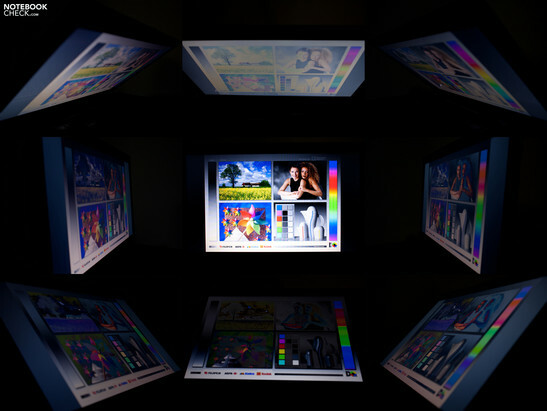 Annoying reflections of the surroundings are omitted with this solution and working is possible, even if slight brightness cutbacks have to be accepted. The viewing angle stability is on the level of the assessment rates and not particularly impressive. 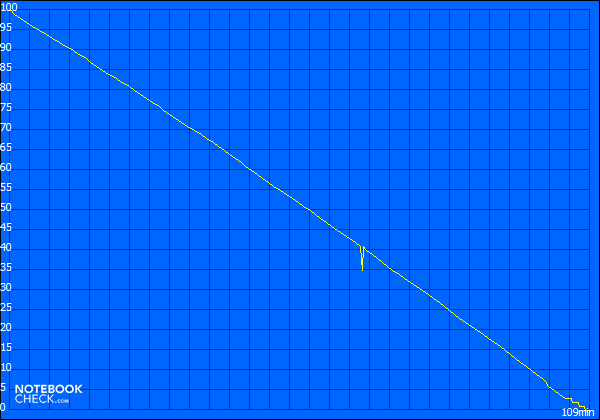 Horizontal rendering remains stable up to about 135 degrees, but a brightness loss is noticed. 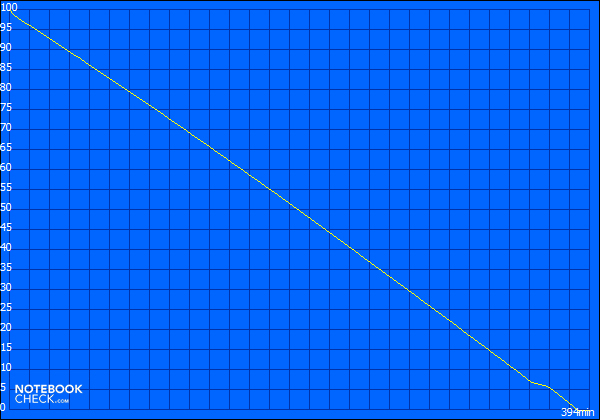 In contrast, a slight change is enough to cause fading, respectively inverting, on the vertical plane. The HP business notebooks with an IPS Dreamcolor display are the best of their class (review: HP EliteBook 8740w). Dell currently offers three different processing units based on the new Sandy Bridge CPUs for the Vostro 3750. It starts off with the Intel Core i3-2310M as an entry level dual core that we are reviewing here. It has a clock rate of 2.1 GHz and a TDP of 35 watts. This solution's drawback is the lack of support for the intelligent Turbo Boost 2.0 technology, which excludes an automatic overclocking. However, multi-tasking activities are processed quickly thanks to Hyper Threading (2 cores, 4 threads). The faster dual core CPU, Intel Core i5-2410M (2.3 – 2.9 GHz, 35 watt TDP) and the quad core alternative i7-2630QM (2.0 – 2.9 GHz, 45 watt TDP) are available for a surcharge. Fortunately, Dell could provide us with another sample that has the stronger dual core. We will compare the entry and mainstream model in the following. A dedicated GPU isn't needed for most applications when used as a workhorse and portable typewriter. Especially since the used processor graphics, Intel GMA HD 3000, bids a clear performance increase in contrast to the first generation. 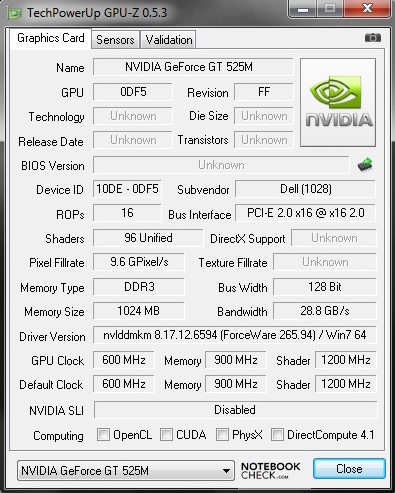 In order to satisfy customer needs, the dedicated Nvidia GeForce GT 525M is available for an extra charge of 100 euros (DirectX 11, Nvidia Optimus), which is installed in our second sample with a Core i5. Based on the GF100, this GPU bids a faster clock rate of 600 MHz and a 1 GB DDR3 memory that has a 128 bit bus. This should provide a clear performance increase in the midfield of current graphics cards with this key data. The Intel Intel Core i3-2310M is currently the smallest dual core and designed for simple office and multimedia applications. The CPU can claim good 7495 points for itself in Cinebench R10 multi thread rendering (64 bit) and is therewith in the midfield of our database. 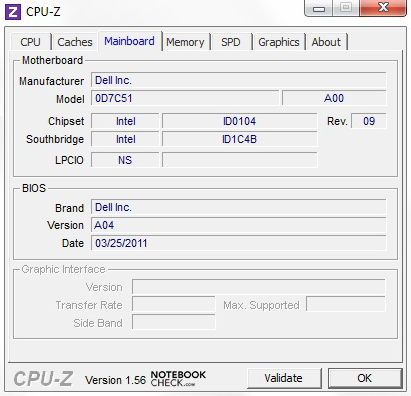 The previous model, Intel Core i3-370M (Samsung R730, 7366 points) or the Intel Core i5-430M in Fujitsu's LifeBook A530 (7271 points) are on a similar level. The Vostro 3750, in its stronger configuration with Intel's Core i5-2410M, is nominally faster by 19.4 percent with a result of 9301 points. The latest CPU benchmark generation of Cinebench R11.5 confirms a comparable score in the midfield. 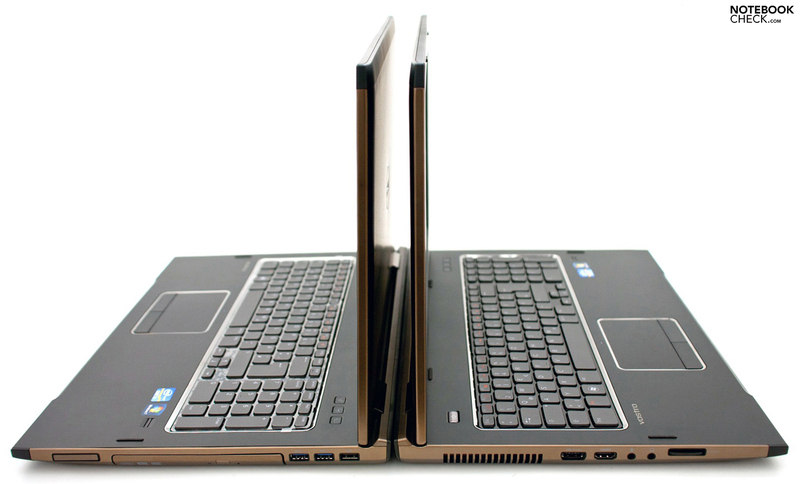 The straight score of 2.0 points is on a par with the Acer Aspire 3750 with an identical basic configuration. The Core i5-2410M can again excel with 2.6 points in this benchmark and provides a convincing performance increase of 23.1 percent. 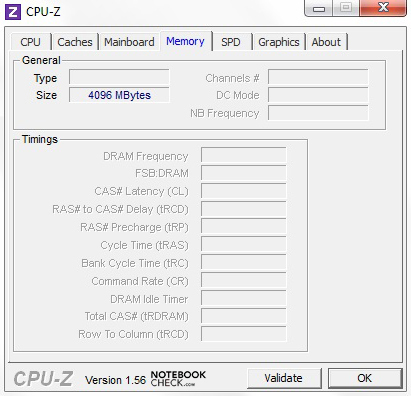 A look at the available Intel Core i7-2630QM, as in the Sony VAIO VPC-F21Z1E1/BI 3D notebook, shows the given performance range in Intel's portfolio. The difference to the i3-2310M is a full 59.2 percent with a result of 4.9 points. However, the middle course of the three options suffices for most routine applications. The synthetic gaming benchmarks from Furmark aren't the integrated Intel GPU's sideline. The pure graphics performance in games isn't impressive, either. This alternative is usually only suitable for gaming in low resolutions and low details. Older or simple games run smoothly even in medium details. 3DMark06 is a tried and tested benchmark and we can fall back on a vast comparison basis in the meantime. The dedicated Nvidia graphics unit option might also be of interest for multimedia orientated customers who can benefit from the GT 525M's comprehensive features. 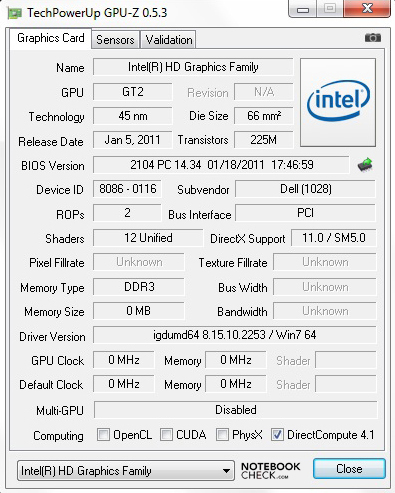 For example, PureVideo HD for decoding videos or CUDA for various calculations that go beyond the graphics is supported. With a result of 3088 points, the Intel GMA HD 3000 is in the lower midfield. 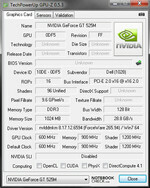 In opposition, the dedicated Nvidia GeForce GT 525M can prove its capabilities and scores an impressive 7089 points. The difference adds up to 56.4 percent and the pure gaming performance is also superior. This graphics is also only suitable to an extent for demanding games and you have to accept losses in resolution and detail settings. 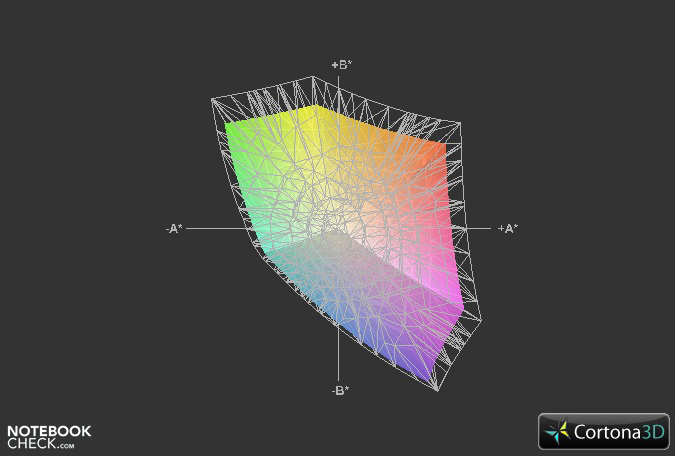 If you have opted for the Nvidia GPU, you will also have DirectX 11 and shader 5.0 support. Futuremark offers the 3DMark 11 benchmark for the latest graphic units matching to that. The positioning as a midrange graphics is confirmed by a score of 902 points. The Acer Aspire TimelineX 5830TG with the same CPU and the faster Nvidia GeForce GT 540M is faster by 8.3 percent (984 points) in comparison. PCMark Vantage provides a good verdict as a system benchmark. It rates the given total package. 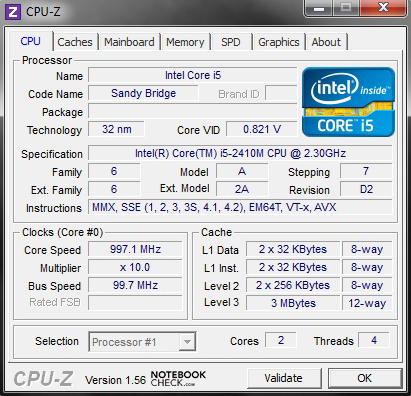 5761 points are possible with the Intel Core i3-2310M and the incorporated GPU. 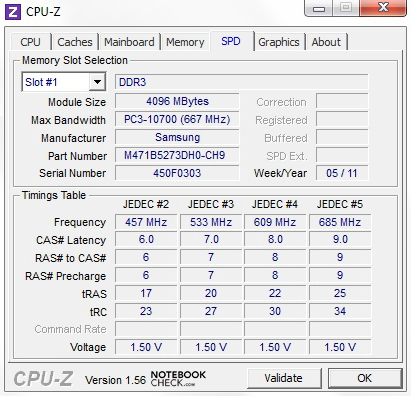 In comparison to that, the stronger configuration with an i5-2410M and GT 525M achieves 6473 points and has a plus of 11 percent. Basically, both alternatives bid a midfield positioning and the scores partly take no notice of older systems. Apart from the benchmarks, we also noticed irregularities as we checked the latencies in Windows 7 (see picture sequence above). High spikes turn up as soon as the WLAN module is enabled. 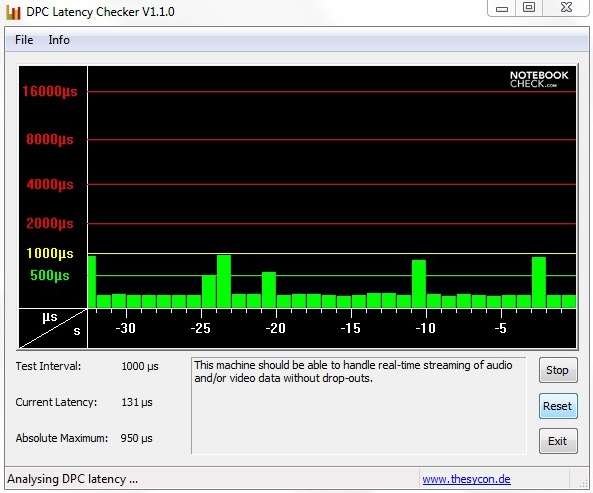 These increased latencies can, for example, cause a so-called "sound crackling" when an external sound card is used. 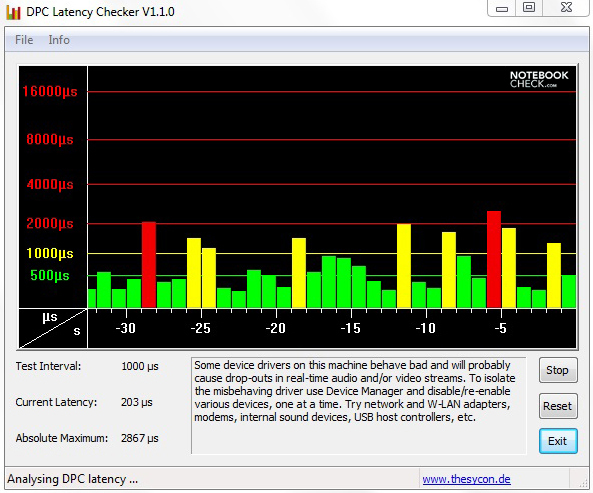 In the ideal case, the bars are in the green field of the ongoing graph, as it is the case when the WLAN adapter is disabled. 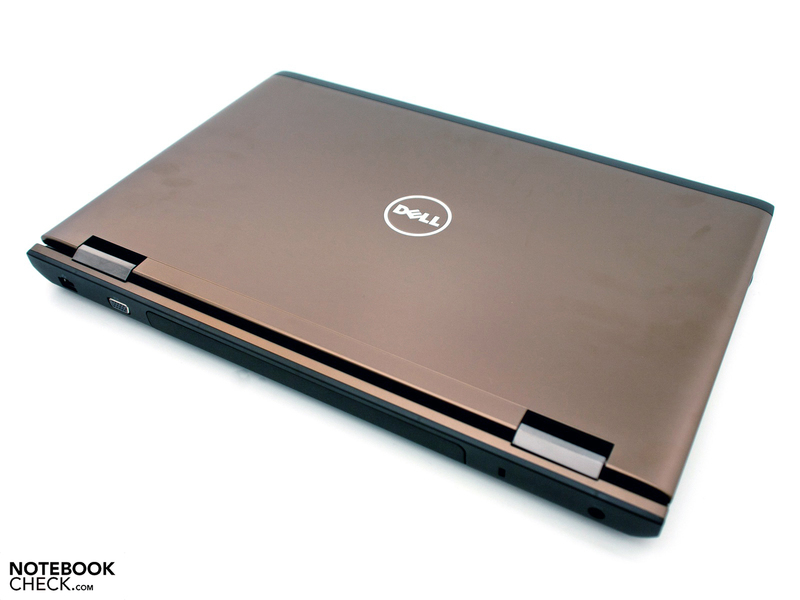 Depending on preferences, you can equip the Dell Vostro 3750 with a maximum hard disk capacity of 750 GBs. Our configuration had a still sufficient 320 GB from Samsung. The HM320HJ alias Springpoint MP4, works with speedy 7200 revolutions per minute and is controlled by a SATA II interface. 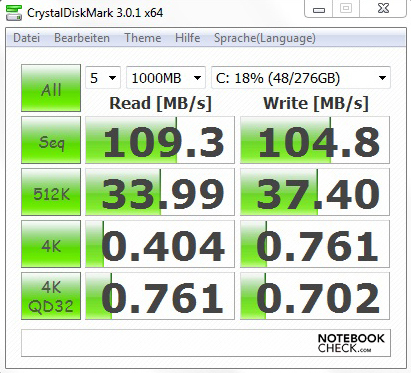 The disk supplies a good performance with a maximum read transfer between 94 and 115 MB/s. However, a drawback of conventional HDDs is the increased access rates and the poor performance in 4K operations. A hybrid disk (SSH) or a sole solid state drive (SSD) could remedy this. A fan in the left area together with a copper heat sink is responsible for cooling. 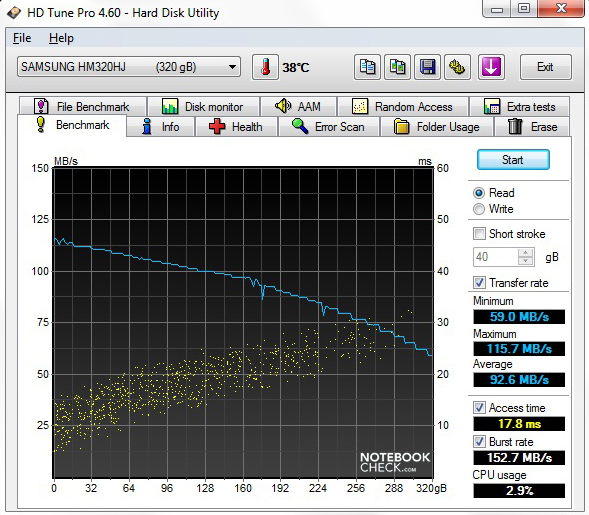 The laptop stays in the background with a constant 32.3 dB(A) in idle mode and only the hard disk whirrs along quietly. The fan becomes active for a short time when the hardware gets too warm, but is disabled just as quickly or reduces its speed during use. 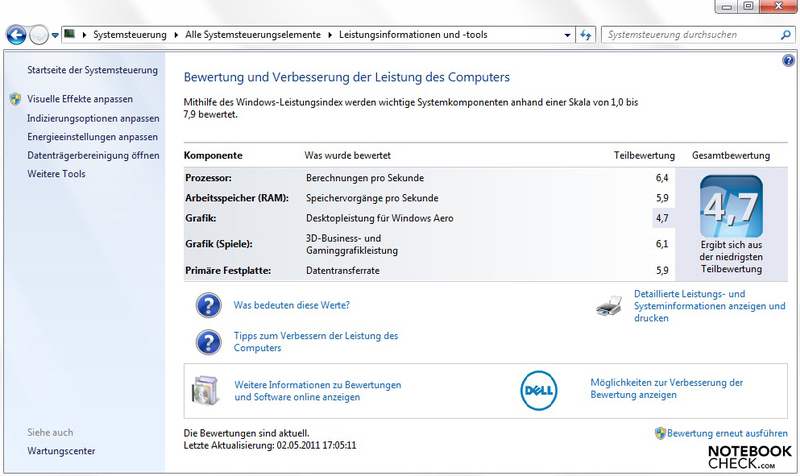 We couldn't hear the clacking emitted by the hard disk that was mentioned in our (German language) forum. However, this behavior varies from hard disk to hard disk. Basically, untroubled working is possible. We could determine a peak rate of 46.3 dB(A) during load (stress test) with which the laptop clearly attracts attention. The moment the system reaches a pleasant temperature level, the fan agreeably turns down quickly. The newest version can get a bit louder in adverse conditions than its predecessor, Vostro 3700. A generous case and a fitting cooling system provides for a cool temper on the outsides in both idle as well as load. The maximum rates of both measurements are between 30.2 and 34.1 degrees Celsius. Since the fan is inactive most of the time, the surfaces are slightly warmer in idle mode. However, they are overall within an acceptable range and therefore don't give reason for complaint. Dell has made improvements and now bids a 2.1 speaker system with an extra subwoofer in the Vostro 3750. In comparison to the run of the mill speakers in the predecessor, Vostro 3700, or the smaller device, Vostro 3550, this solution convinces with a balanced sound including clear basses, as well as agreeable trebles and midranges. The maximum volume is more than sufficient and no distortions can be heard in the maximum level. 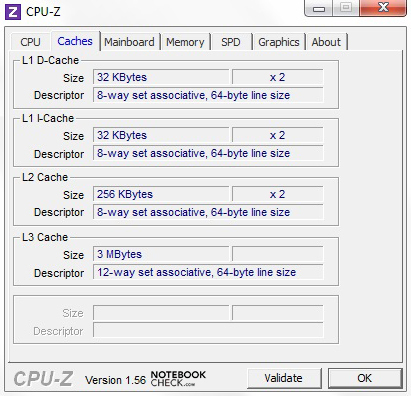 A few multimedia laptops could take an example in the given performance. 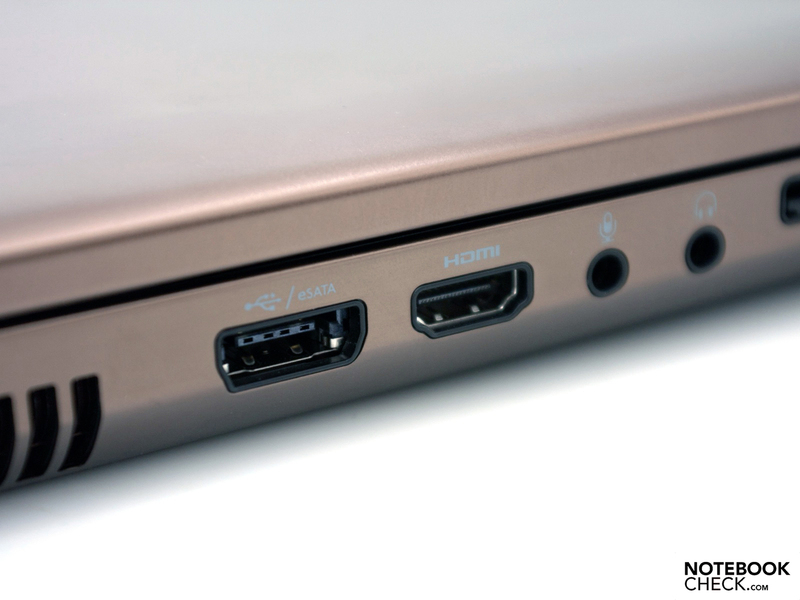 External devices can be connected via the HDMI out or via the 3.5 mm stereo jack. It doesn't matter if it's a TV set in the office for a presentation or simply headphones on the train. Subjectively, the transmission is convincing and we couldn't determine static or crackling. 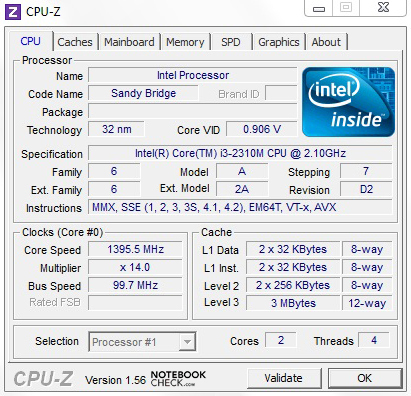 The Intel Core i3-2310M has the Energy Saver function although it lacks the Turbo Boost technology. The clock rate is reduces automatically during low use and the maximum power loss (TDP) of 35 watts is decreased accordingly. This results in a low consumption rates of 7.2 and 14.5 watts in idle. This consumption gives no reason for protest. Comparable devices with a smaller screen need even less power though. The consumption during load (53.7 watts maximum) is also within an acceptable range for this configuration. Naturally, the Vostro 3750's consumption increases with stronger components (CPU/GPU). 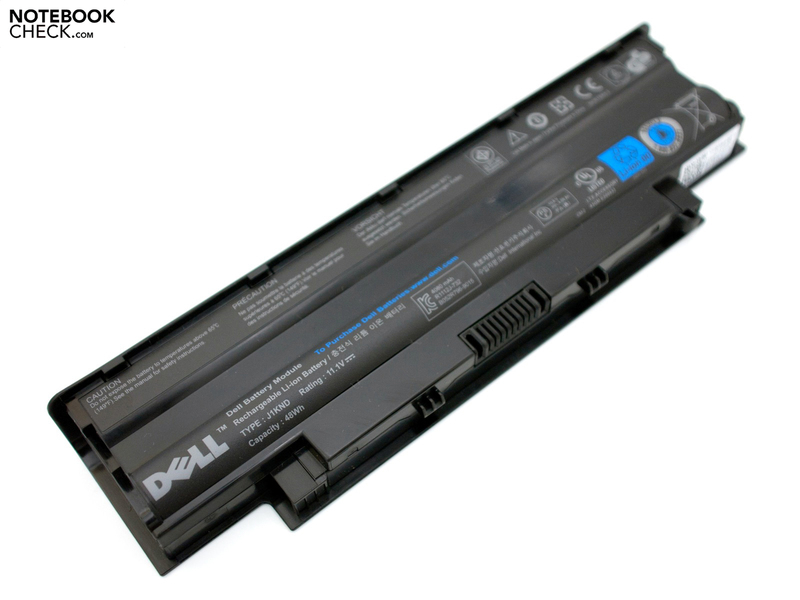 Dell includes a 6 cell and 48 watt hour (Wh) lithium ion battery ex-factory for the Vostro. 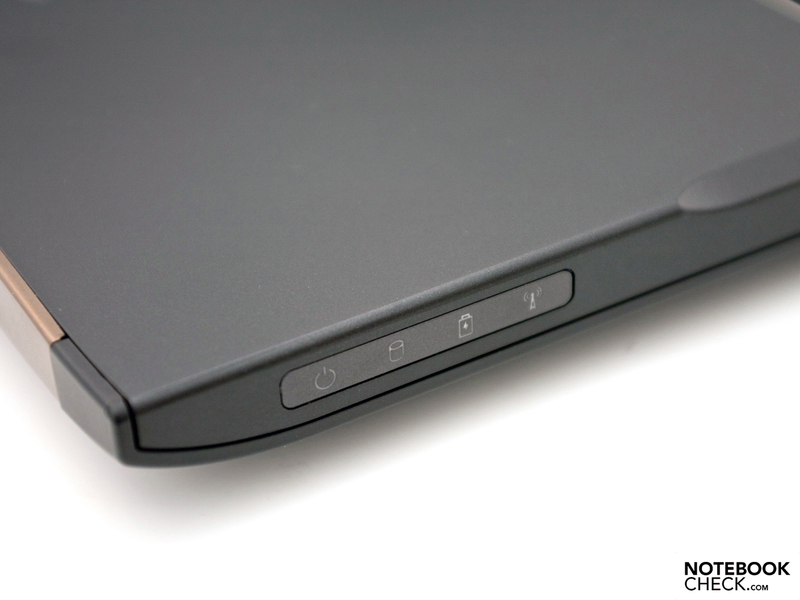 Together with the entry level components, it results in an acceptable battery life for the office notebook. BatteryEater's Reader's Test simulates the minimum possible battery life with maximum display brightness and enabled WLAN module. The battery is drained after 81 minutes, whereas this rate isn't unusual. The maximum battery life and the pre-settings for this assessment (minimum brightness, energy saving mode, Reader's Test) is the other side. Returning to the mains becomes necessary after good 6 hours and 34 minutes. Thus, this laptop also provides a certain amount of mobility. The measurement "surfing via WLAN" can be seen as the middle course. We selected a brightness level from the medium range, which still allows comfortable working for this. You have enough time for important tasks on the laptop with 3 hours and 11 minutes. To summarize, we can say that a DVD movie with a runtime of 2 hours won't, or can only almost be seen to its end without a power cable. Currently, there is also no larger battery with 8, 9 or 12 cells found in the configurator. However, the telephone customer service may be able to offer further options. 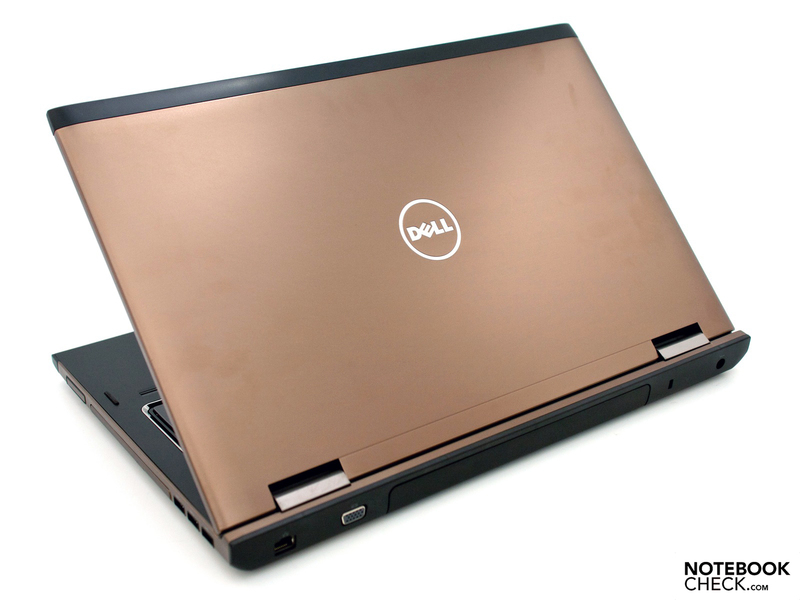 The American enterprise, Dell, has a impressive notebook with a 17.3 inch display in its array with the Vostro 3750. It manages the balancing act between the consumer and business market. 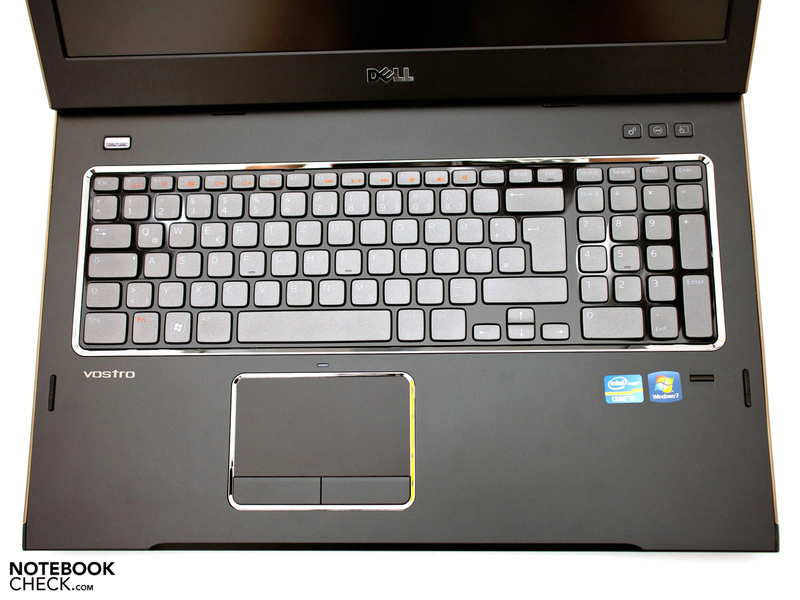 The new components and modifications in form of an Intel Core i3-2310M dual core processor, a pleasant backlit keyboard, a large touchpad and a matt display with a resolution of 1600x900 pixels are key values of a modern typewriter that is also suitable for multimedia applications. The AUO screen's assessed rates, alike the omission of a docking port and the short warranty period ex-factory don't really fit into the image, though. Apart from the docking port, the variety of interfaces in general and the matt case are on the pro side. The Vostro is truly not a lightweight, but thanks to the viable battery life and matt display surface, it is suitable for outdoor use. Dell provides for a real surprise with the installed speakers. 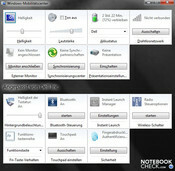 The notebook isn't lost in the mass thanks to the separate subwoofer and many multimedia laptops can take an example on this solution. In the end, it can be said that the Dell Vostro 3750 is a successful laptop, which characterizes the middle course between two buyer groups. However, shortcomings in both the display as well as in the business qualities (security features, docking) have to be accepted. However, the start price of about 550 euros, including added value tax, and the diversity of configuration options have to ultimately be mentioned positively. 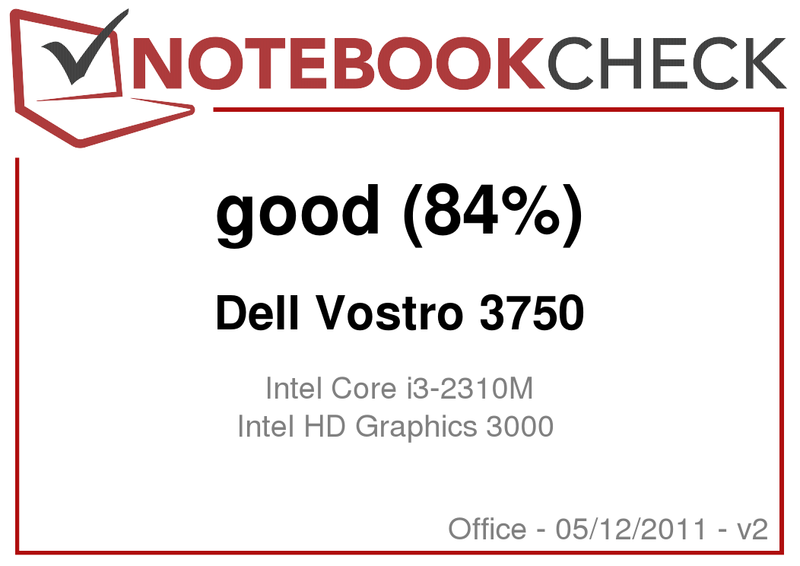 We've tested the latest version of Dell's Vostro 3750. The integrated light for overtime in the office. A full-fledged number pad is found on the right. Functions can quickly be addressed via three small keys. The warm waste air is efficiently discharged out of the case. A large maintenance cover is found on the bottom. Surprising: A good 2.1 sound system is found beneath this. The RAM can be exchanged within a short time. The included 6 cell battery complies with the standard. Generous chiclet style keyboard with agreeable feedback. Looks strange at first glance: The rear case lip. The massive metal hinges allow a perfect hold. good workmanship and an according stability. The hinges positioning supplies an interesting look. The device is available in silver, red or bronze, depending on preference. The display lid made of cool aluminum improves the looks. two fast USB 3.0 ports (seen on the blue color). More possibilities are available via the ExpressCard34 slot. The Vostro bids a fingerprint sensor as a little security obstacle. The LEDs on the front impress with understatement. Slim and yet powerful, the 90 watt power adapter. 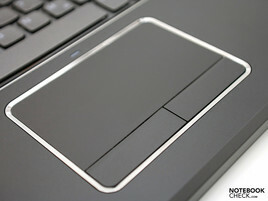 The design with allover matt surfaces, the amount of interfaces and the input devices including keyboard light. A dedicated docking port and, in particular, a display with better rates. A 17.3 inch Full HD option would also be great. The good speaker system with a powerful subwoofer that makes many multimedia laptops look second-rate. 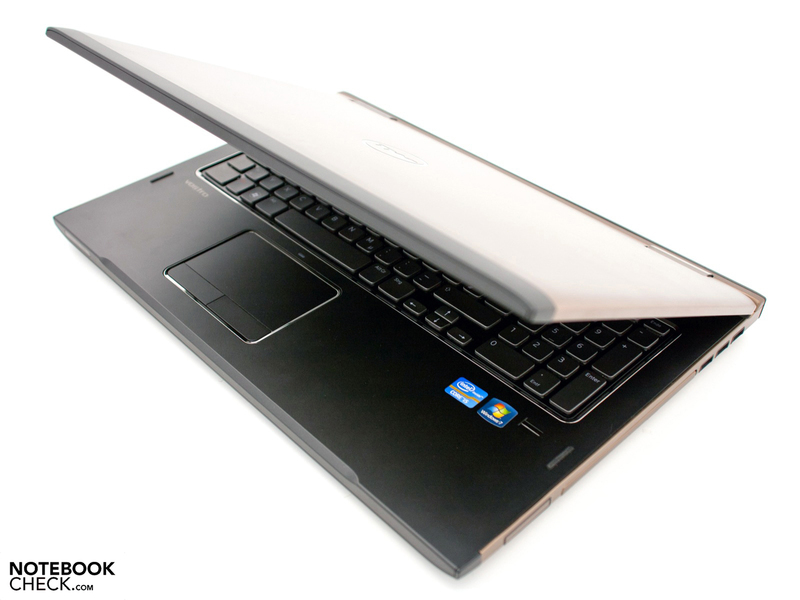 The own Dell Inspiron 17R or the Samsung RF711 notebook would be examples for consumer notebooks with a 17 inch display. Then, the Apple MacBook Pro 17, the Acer Aspire 7750G notebook or the HP EliteBook 8740w can be found in this size category as mobile workstations.